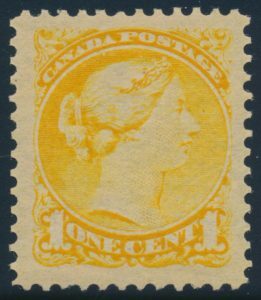 Lot 112 Canada #35 1890s 1c yellow Small Queen, mint with full original never hinged gum, quite fresh and with large margins all around, extremely fine. 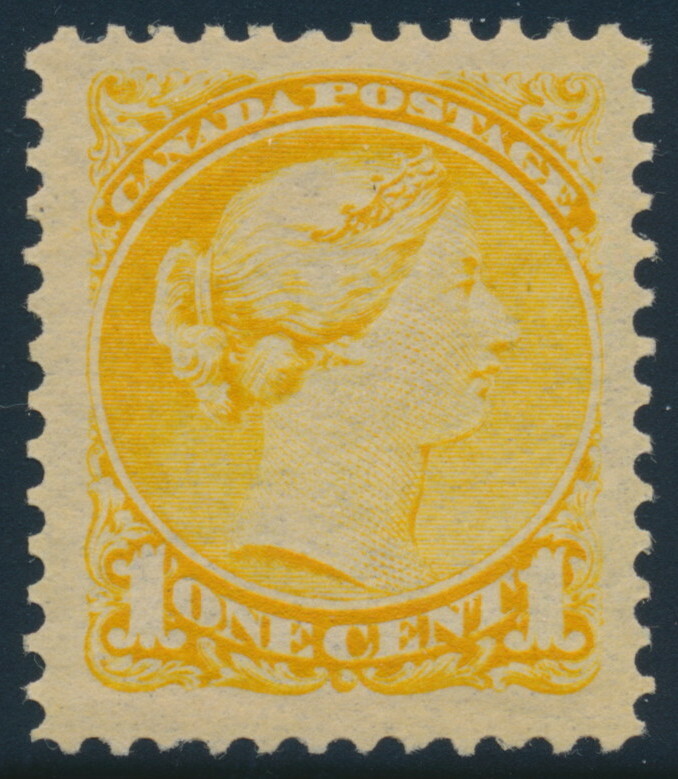 A lovely stamp for the collector who seeks only the best. Unitrade CV$180, sold for C$170.00 plus 15% buyer’s premium.